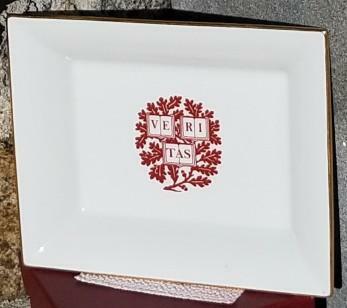 The Office of the University Marshal stocks and can special order a selection of Harvard-themed gifts available for purchase at cost by Harvard affiliates. These gifts can be used to welcome a distinguished visitor, for official travel abroad, to present to retiring employees, and for other such occasions. Please note that all prices are subject to change without notice (including shipping & handling for custom orders), and that purchasers should consult local and university gift policies. If purchasing for an international recipient, purchasers may also consult our international gift giving protocol. For more information, please call (617) 495-5727, or stop by Wadsworth House to browse our gift selection. Some of our popular gift items: LR Paris porcelain box and LR Paris business card box, Tiffany & Co. pewter box, and Eglomise paperweight! 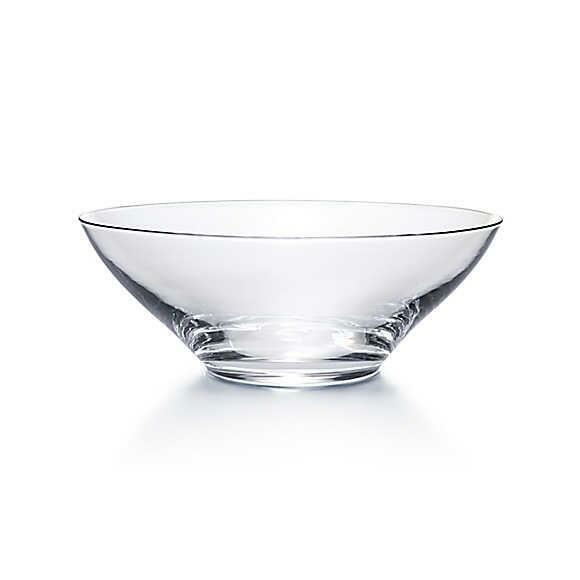 Tiffany Woven Platter - $91.11. Limited Supply. Special handmade bowls with their own unique shape and size; for decoration purposes only. Dimensions are 28'' x 23 '' for the print sheet and 17'' x 22'' for the print plate. This meticulously detailed original gravure etching by Andrew Ingamells is the first to be made from an aerial perspective of Harvard Yard for over 100 years, and the first ever to be made from the west with the Johnson Gate as its central axis. 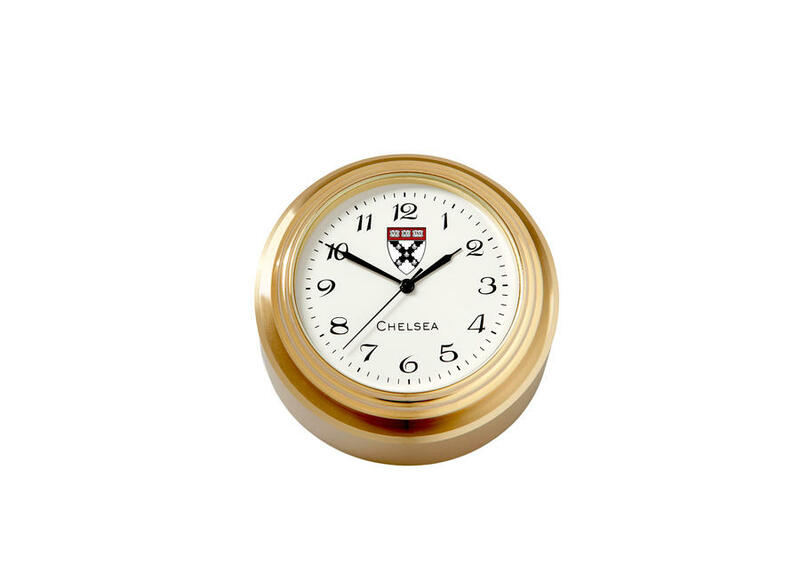 Chelsea Clock Round Brass 3" Waterfall Paperweight Clock This handsome clock boasts a heavy, forged solid brass case, hand buffed and polished to Chelsea Clock’s signature lustrous, tarnish-resistant finish. 4 3/4'' x 5''. Images available: John Harvard, Mass Hall, Johnston gate. Medium desk boxes are 11 1/4'' x 8 7/8'' x 2 1/2'' and are avaliable in traditional and antique styles. Three images available: John Harvard, Johnston Gate and Mass Hall. Traditional and Antique style frames available gold or silver. Styles available: T Bar, chain. Made in England. An effortless way to add some color and elegance to your shirt. With a range of heritage inspired designs from regiments to great institutions you’ll be spoilt for choice. The perfect gift for a loved one or to spoil yourself. Show off your Harvard crest now. Each shield is handmade and signed by the artist. The frame is made of cherry stained wood. The brass hanging apparatus is hinged, and can be hidden out of sight. Two 4-foot lengths of brass chain are included and can be shortened to accommodate any window.